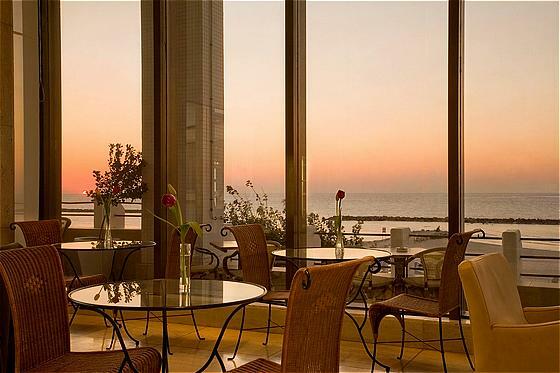 Park Plaza Orchid Tel-Aviv is in a prime city centre location, facing Tel Aviv 's famous beach promenade overlooking the Mediterranean Sea.Full buffet breakfast is available at an extra charge of 20 USD in the Breakfast Room overlooking the Mediterranean Sea.The hotel is just minutes away from the financial and cultural districts and is within walking distance from the picturesque old city of Jaffa. Ben-Gurion International Airport is just a 30-minute drive. Tel-Aviv airport exit to Tel-Aviv, take the Ayalon highway and exit on "Arlozorov-Harakevet" straight to west side of the beach, on Herbert Samuel St., Turn left and after approx. 500 meters you will find the hotel on the left side of the street.